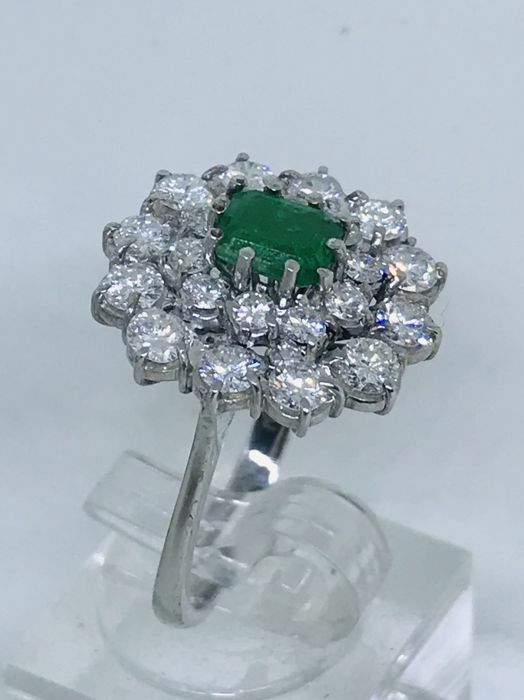 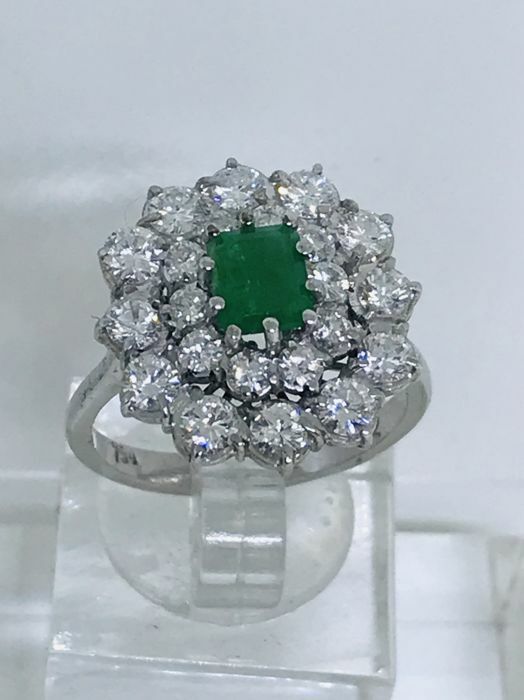 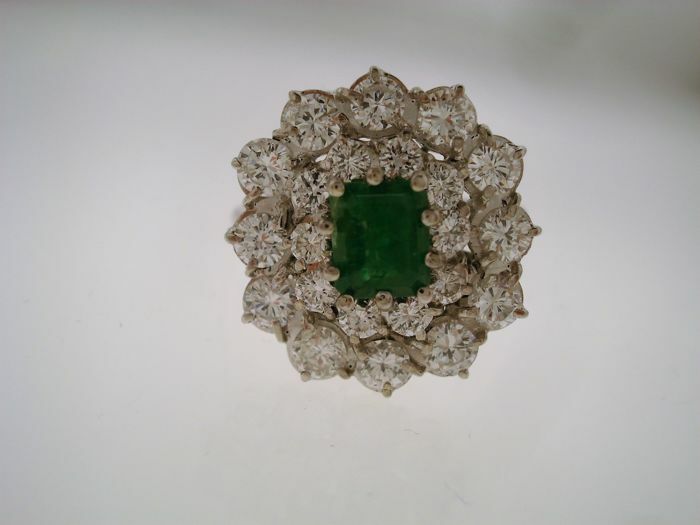 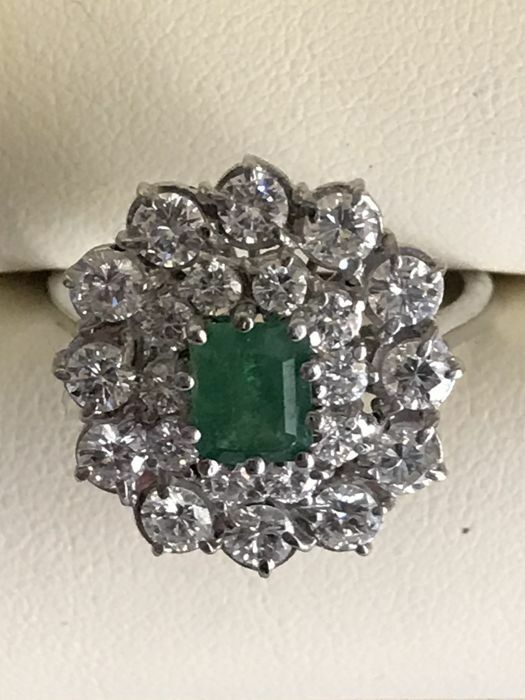 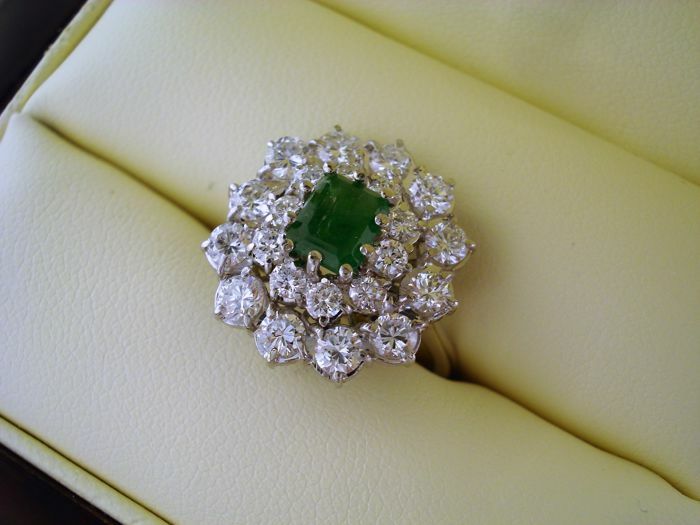 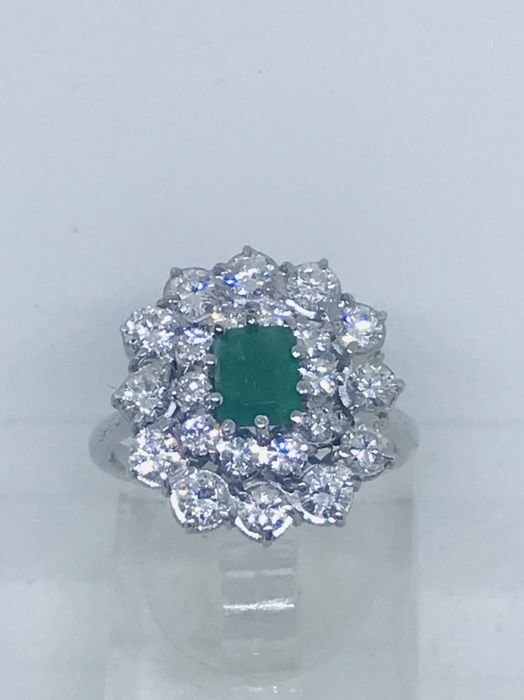 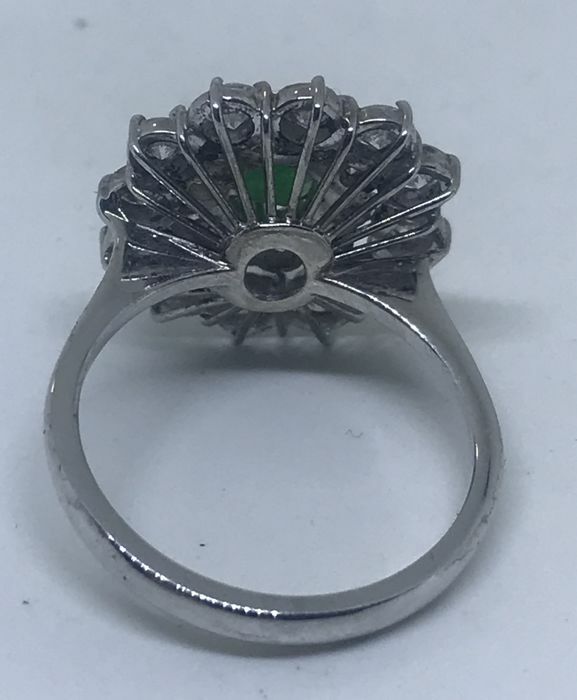 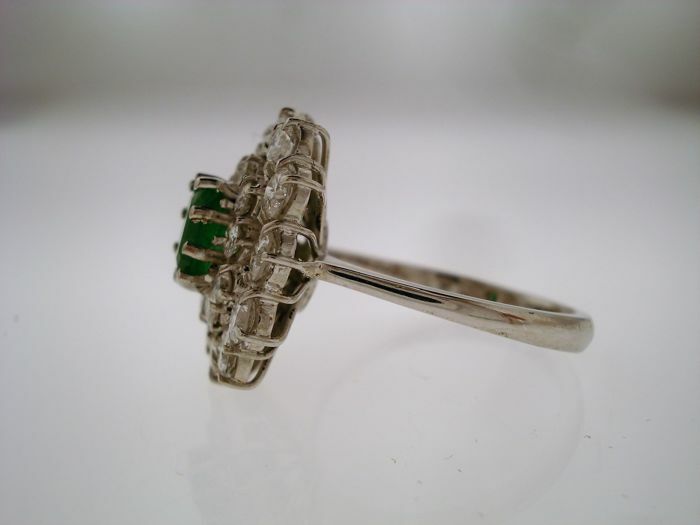 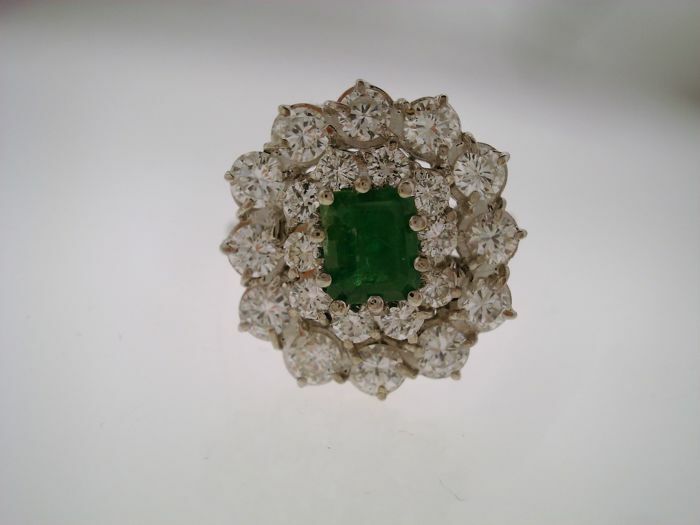 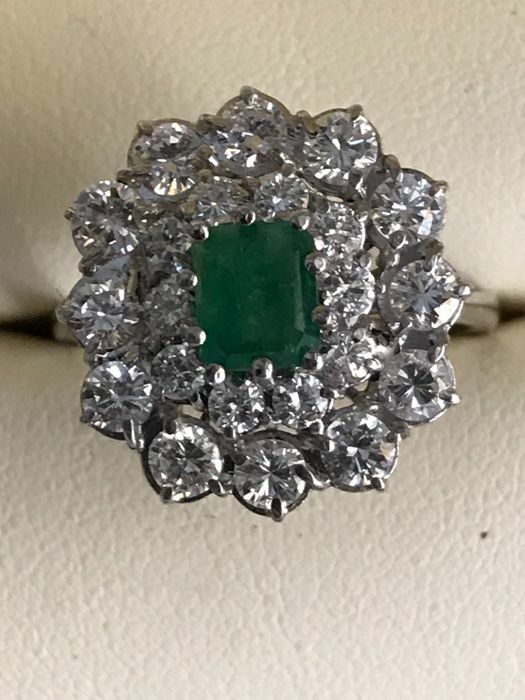 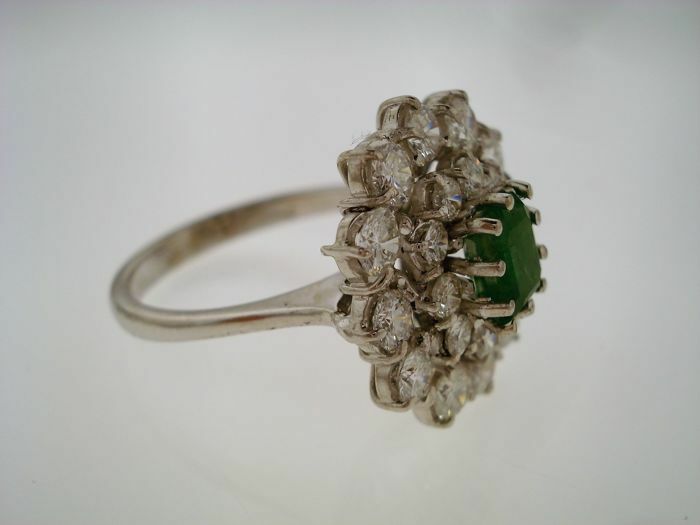 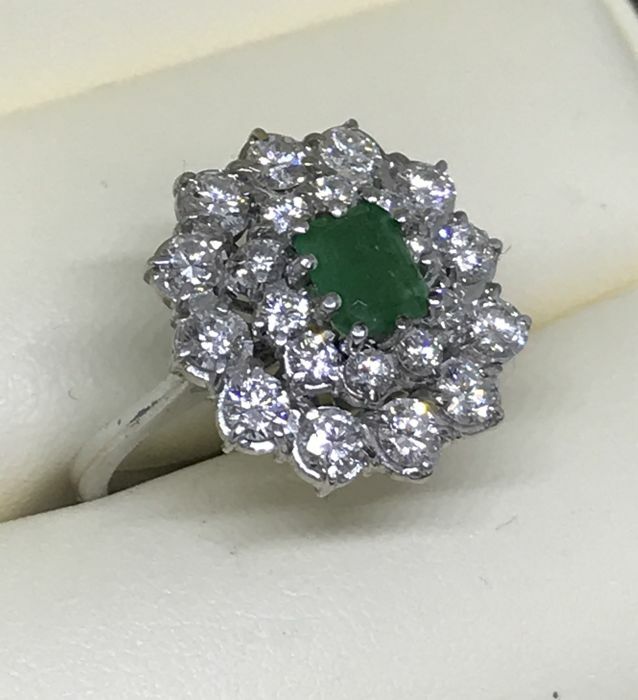 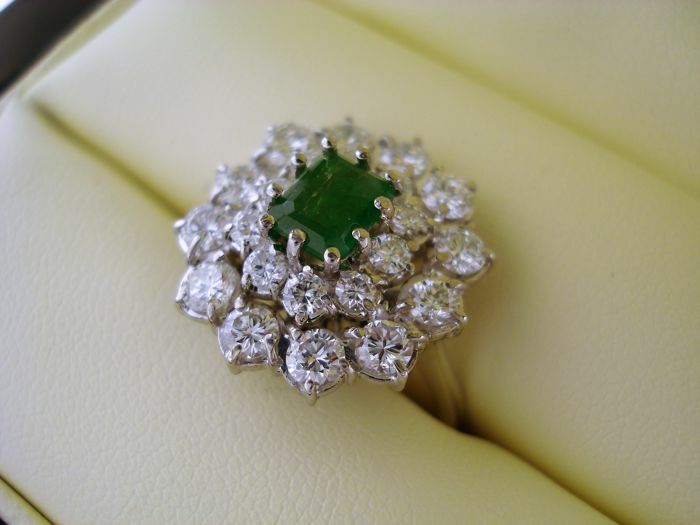 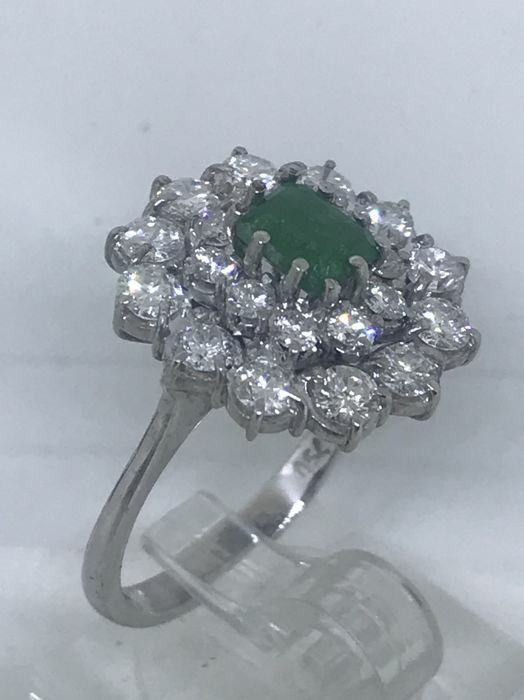 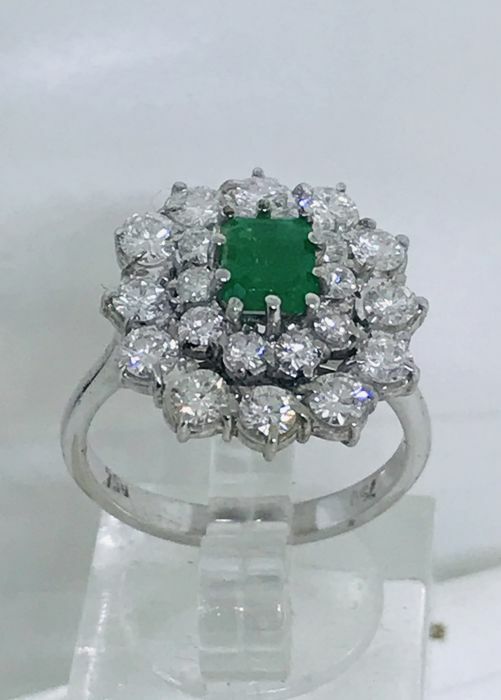 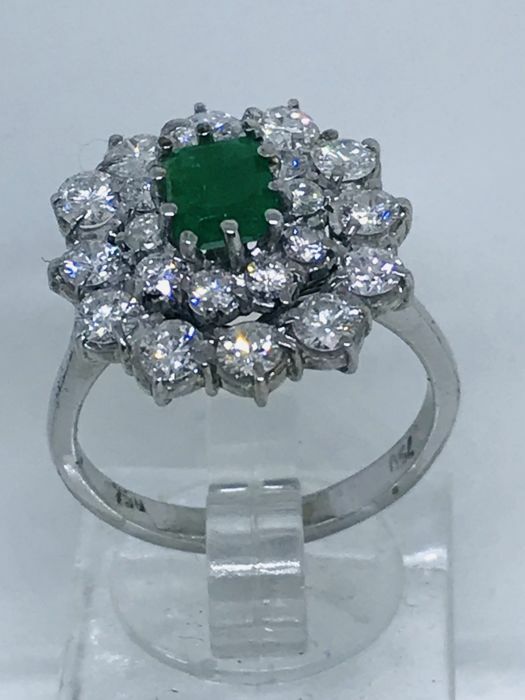 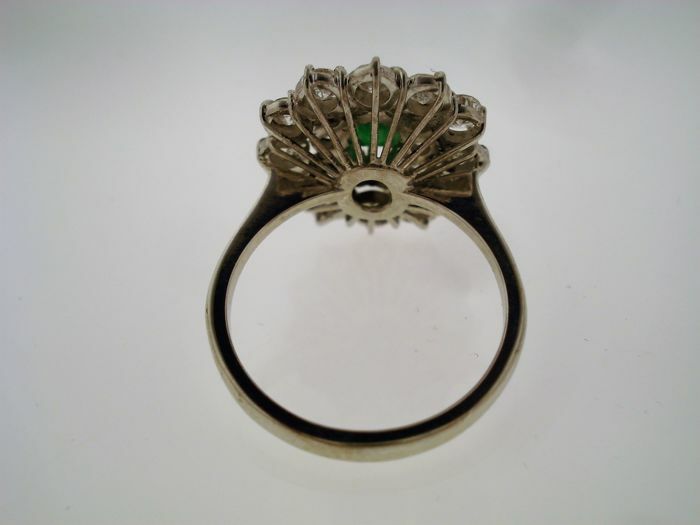 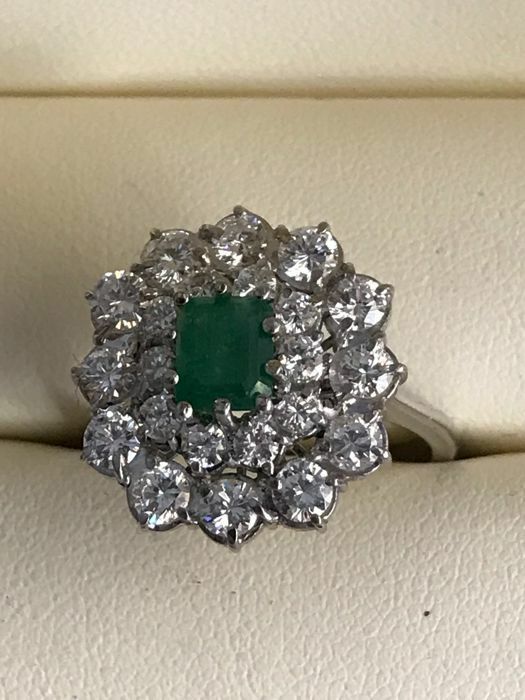 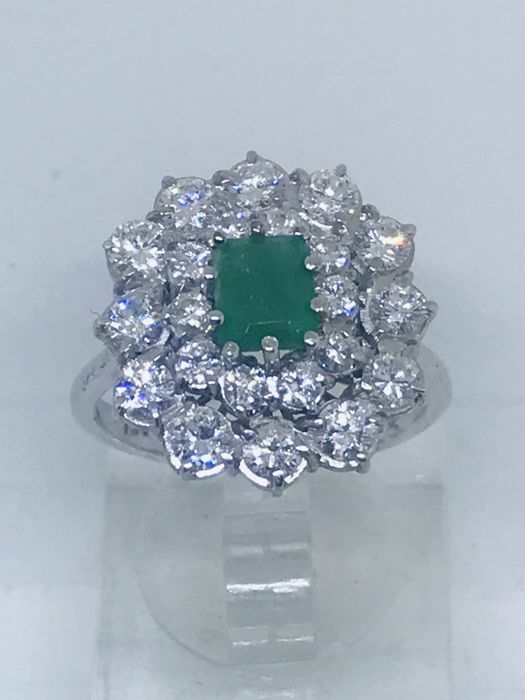 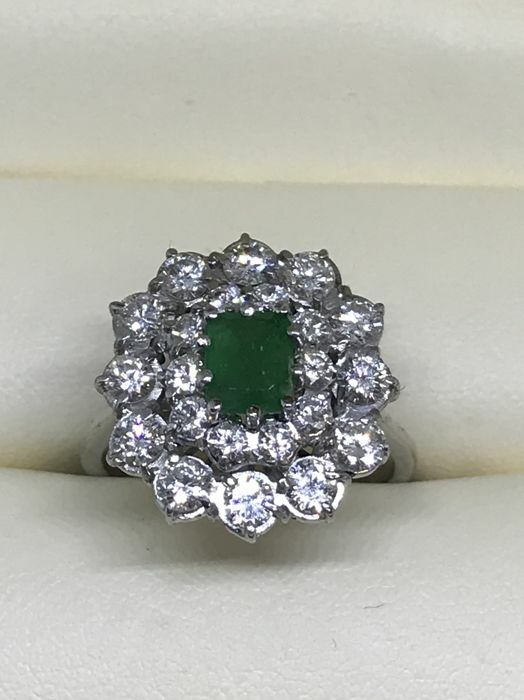 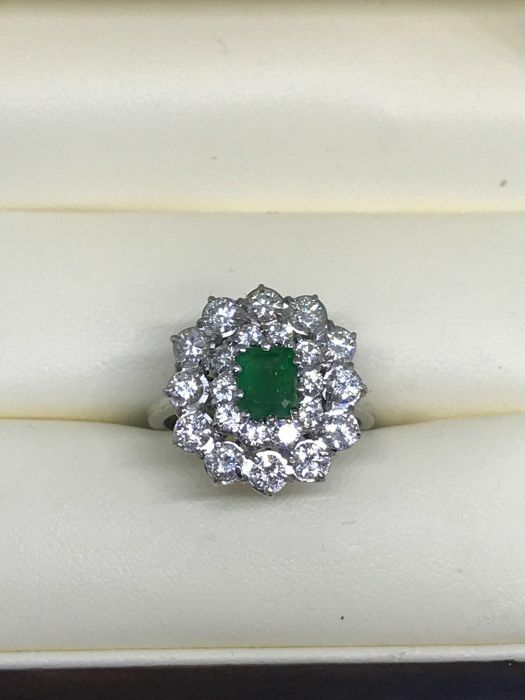 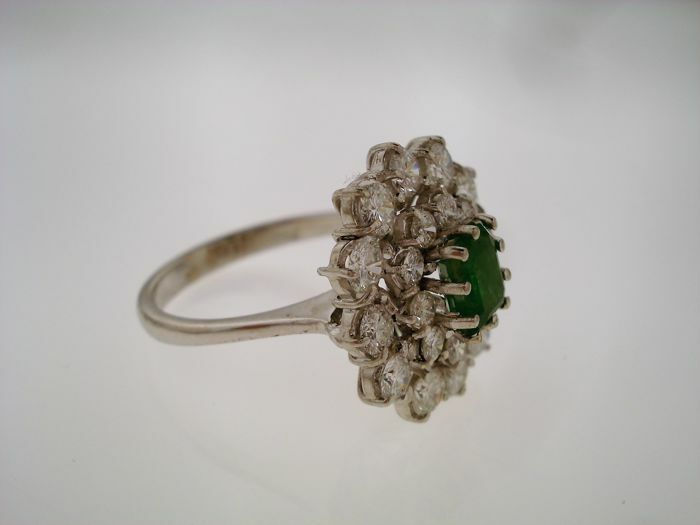 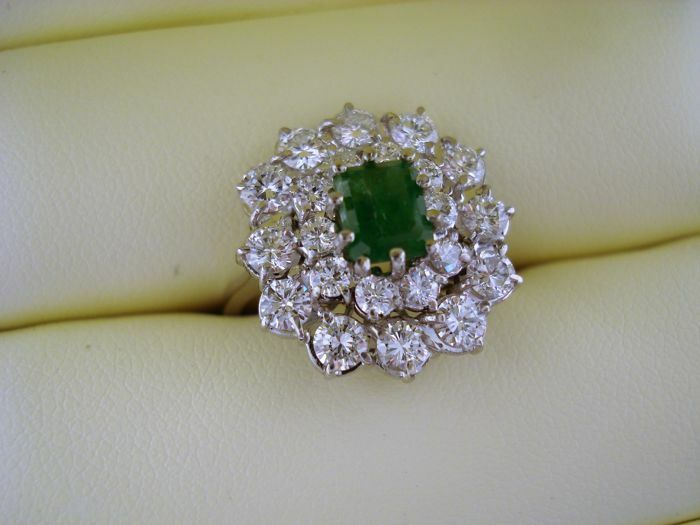 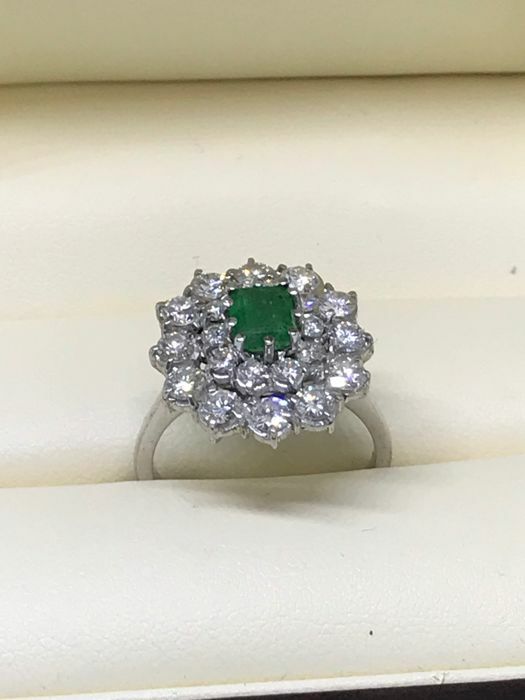 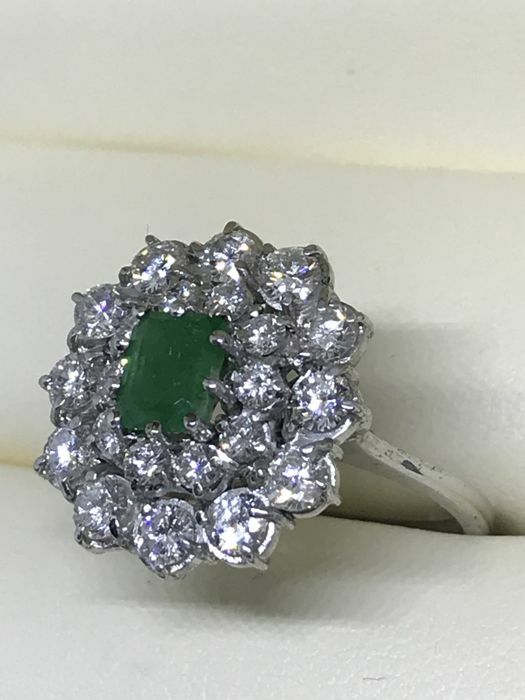 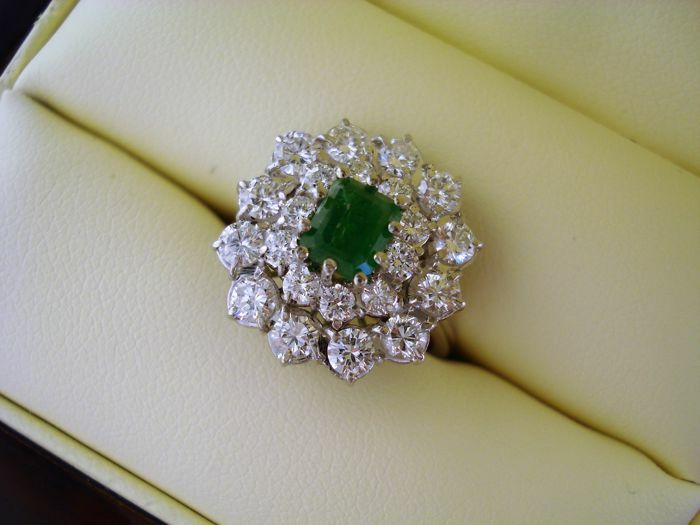 Beautiful and elegant 18 kt white gold ring, with 0.75 ct emerald and 22 diamonds totalling 1.80 ct. 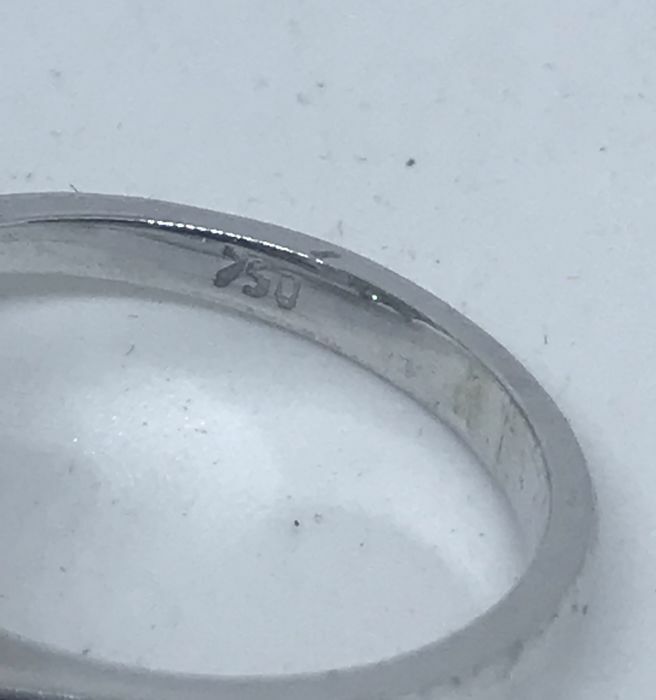 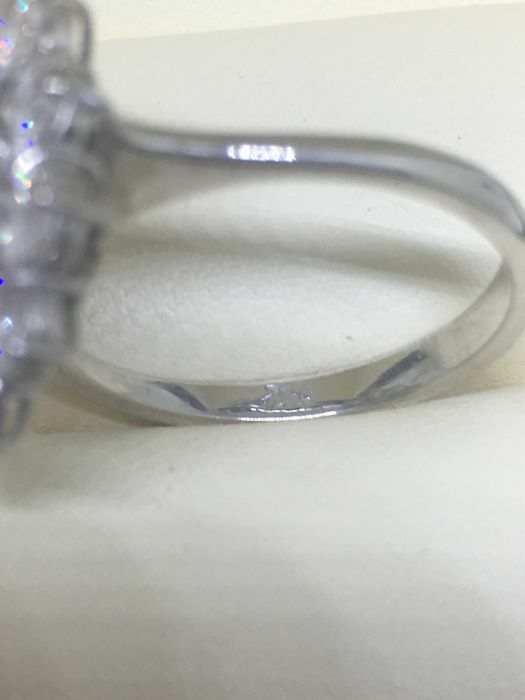 The ring weighs 5.7 grams and is size 18. 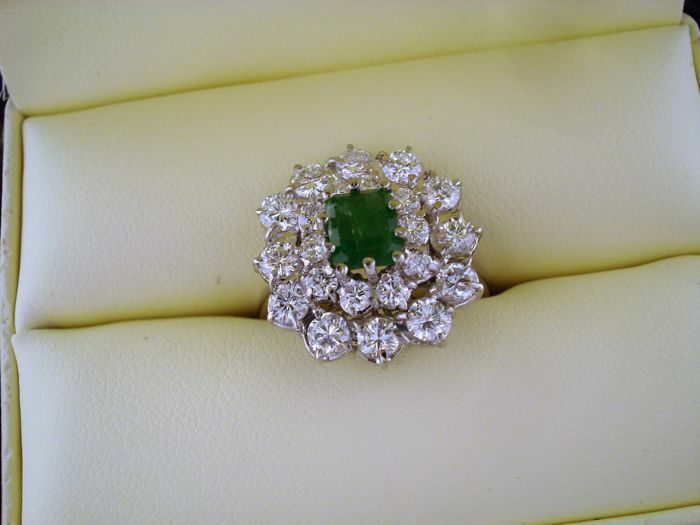 The emerald weighs 0.75 ct and measures 6 x 5/3.2 mm, faceted rectangular cut. 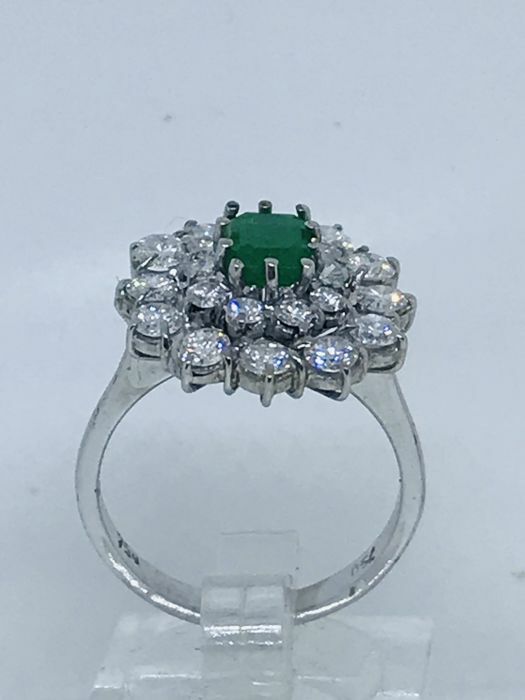 22 brilliant cut diamonds totalling 1.80 ct, colour F, clarity VVS. 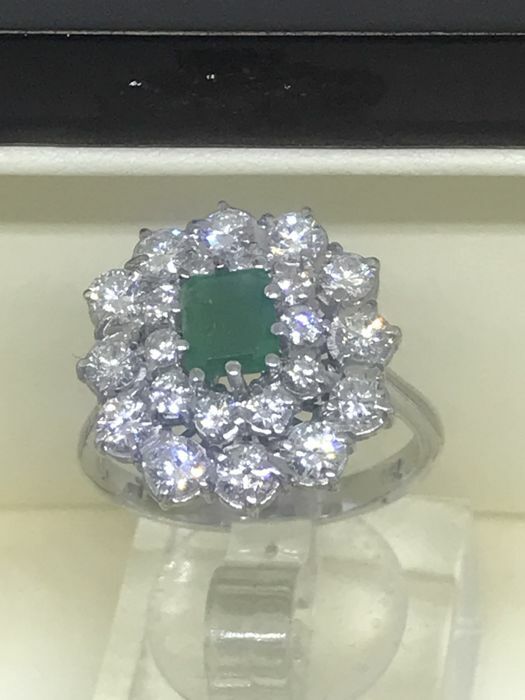 Value as per gemmology appraisal: €6,800. 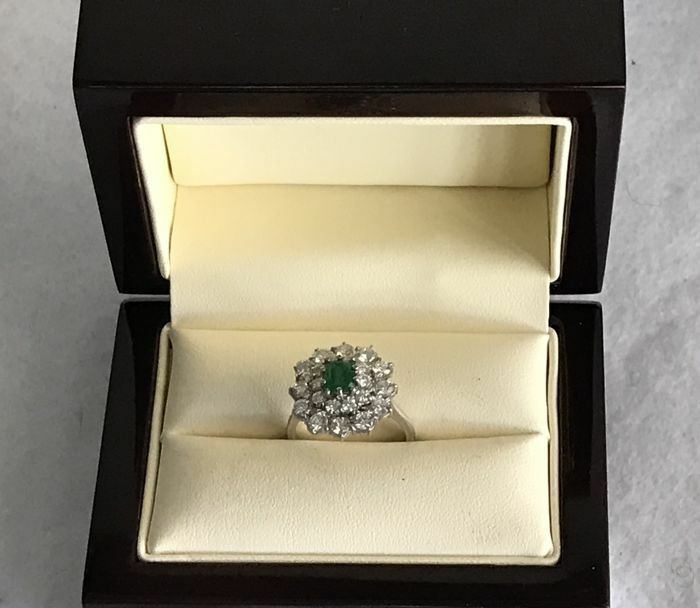 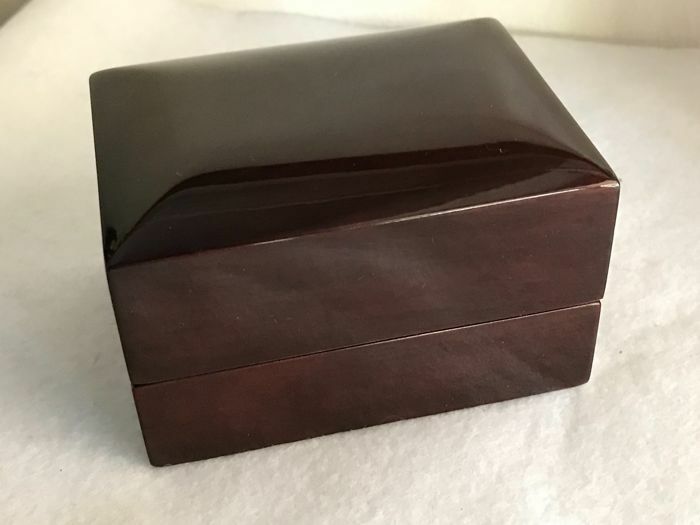 The ring comes in a beautiful case, and its certificate.